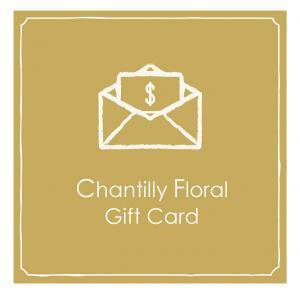 Give them the gift of choice with a Chantilly Floral Boutique Gift Card. Available in multiple values, and redeemable at both Chantilly locations. Free postal delivery for gift cards. Courier delivery available, fees may apply, to order courier service Please call 215-256-9290.